These kits were designed for professionals who maintain more than three street Porsches in their line of work. This option adds a 50' extension cable. Note: Software installation CD is no longer shipped wtih our kits. All software is available through download only. Choose this option if you have a Porsche 911 (1996+ 993, 996, 997, 991), Boxster, Cayenne, Cayman, and/or Panamera. Choose this option if you have a Porsche 928, 944, 968, 964 or 1994-1995 Porsche 993 with a round diagnostic connector. This kit also supports Porsche 911 (1996+ 993, 996, 997, 991), Boxster, Cayenne, Cayman and Panamera. * See the differences page for more information. This kit is the same as our Professional kit - option 2 - but also includes a special cable for use on Cup and factory race cars. It includes everything you need to work on every Porsche we support. 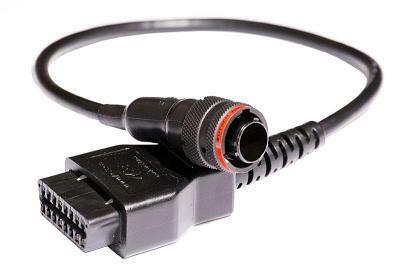 The cup adapter cable is not sold separately and is not compatible with the interface cables sold in the Professional or Enthusiast kits. 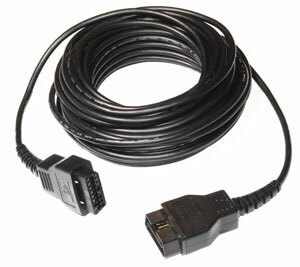 We now have 50-foot extension cables available. This cable connects the USB cable (standard interface cable) to the car and can extend the cable outside for users that do not have a laptop computer or otherwise need greater cable reach. 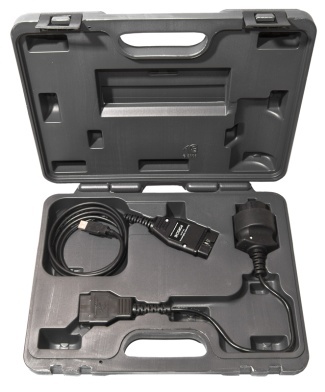 This cable is included with the professional kits. 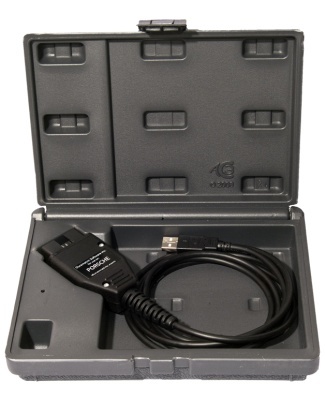 Contact us about refurbished kits for sale - while supplies last! These lightly used kits come with all of the same features, warranties, and guarantees as the new kits - at a discount. We ship products Monday through Friday on non-holidays via UPS and US Postal Service (EMS). UPS orders received by noon (PST) usually go out the same day. UPS Overnight shipments must be received by noon (PST) to go out the same day. Call us to confirm availability. UPS Saturday deliveries are not available. Orders shipped via USPS typically will be shipped on the next business day. In some cases, international USPS (EMS) packages will be delayed 2 days or more. All orders shipped via USPS (EMS) require signature for delivery. To get a price on shipping just click "Buy Now" and the shipping price to your location will be in the lower right corner of the screen. All international orders are shipped with the actual price of the item declared on the customs form (HS Tariff 847190). Any import duties or taxes will need to be paid by the buyer. Please do not ask us to misrepresent the value of the item or mark it as a gift or commercial sample. If you need replacement parts for any of our tools, please contact us for assistance.